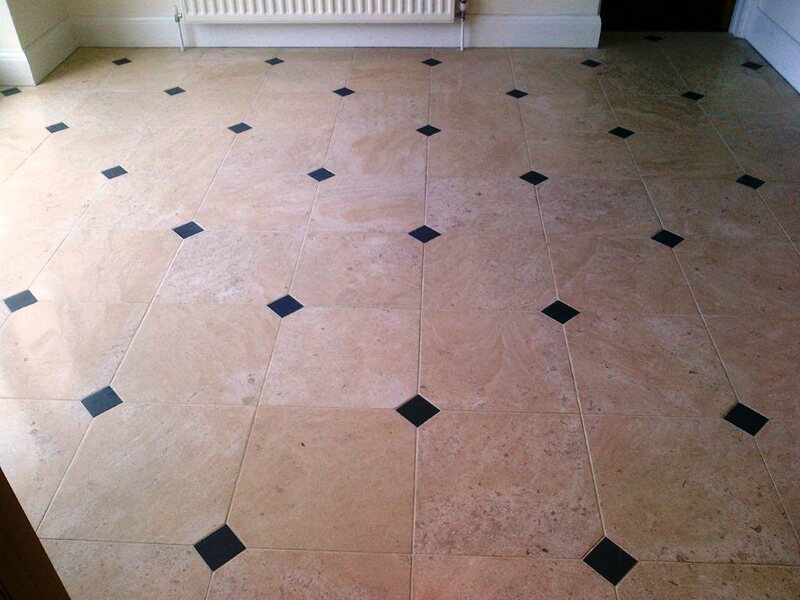 This Limestone tiled floor with Slate Inlays was installed in a house in Little Chalfont, Buckinghamshire; the previous sealer had failed and was no longer offering any protection allowing dirt to become ingrained in the stone and become dull from soiling. 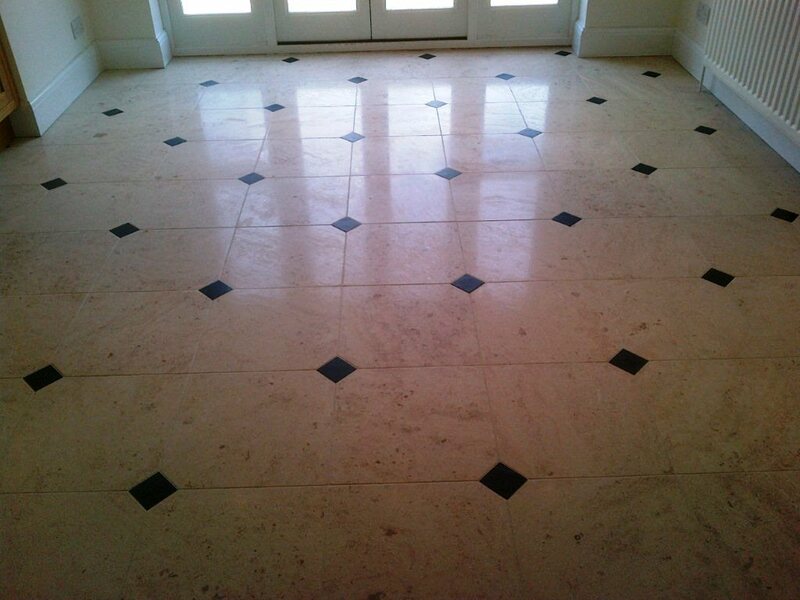 To get the Limestone Tiled floor back to its original condition we used a set of diamond encrusted 17” Burnishing Pads fitted to a heavy rotary buffing machine. It’s important to give the floor a quick clean first to prevent grit from getting trapped in the pads and leading to deep scratches on the surface. You start off with the coarse red pad together with a little water which can remove sealers before moving onto the other pads. At this point we gave the floor a deep clean using Tile Doctor Pro-Clean which is a heavy duty alkaline cleaning product that’s safe to use on Stone floors mixed 50/50 with NanoTech Ultra-Clean which adds tiny abrasive particles into the solution; this combination is especially effective on grout so we took the opportunity to get into the grout lines as well. The resulting soiled solution was removed using a wet vacuum and the floor washed down with clean water before continuing the burnishing process with the White cleaning pad followed by the Yellow Polishing pad which smooth’s the surface and finally the Green pad which gives that high shine finish. 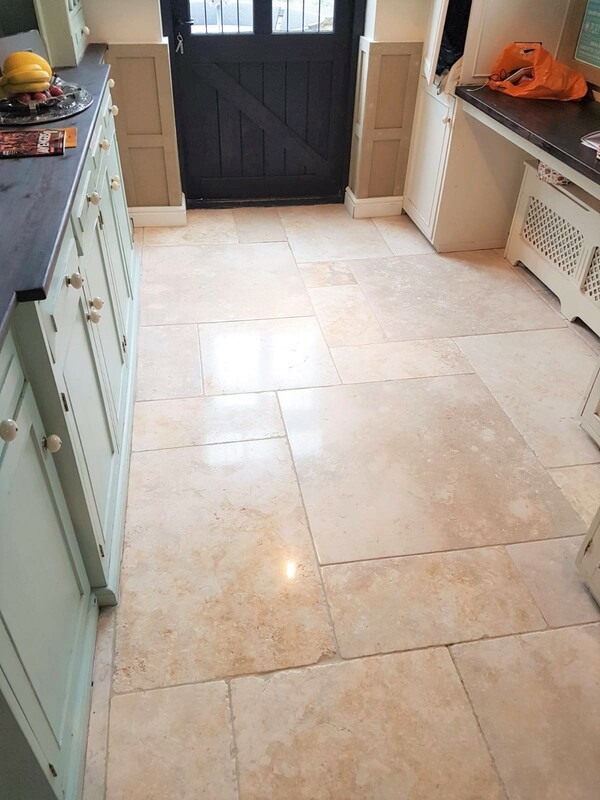 The floor was washed down to remove any particles left over from the polishing and left to dry before we set about sealing using three coats of Tile Doctor Colour Grow. Colour Grow is recommended for a number of stone surfaces and does well to lift the natural colours in the stone as well as providing on-going surface protection. 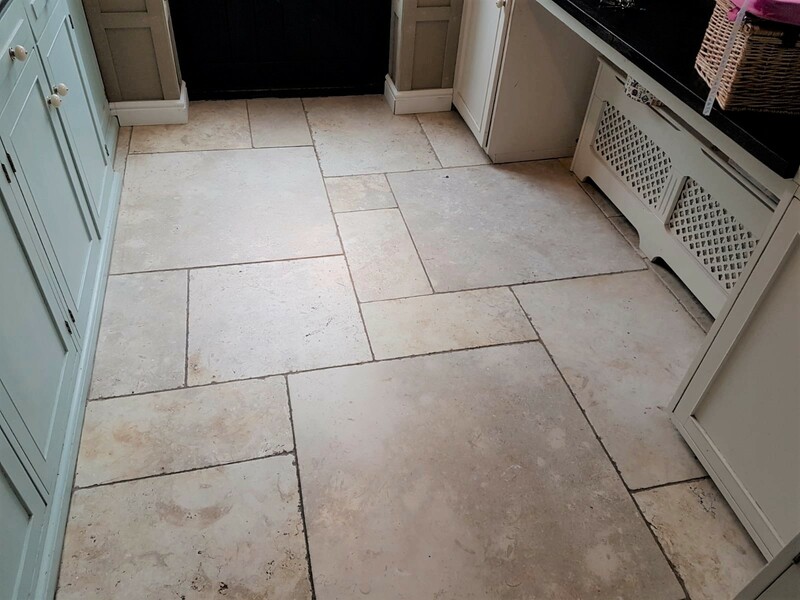 Before leaving we recommended that the customer use Tile Doctor Concentrated Tile & Stone Cleaner for cleaning going forward, like Pro-Clean it’s an alkaline cleaning product that will clean the stone without eating into the sealant. The house owner was very satisfied with the results and promised to recommend our services to family and friends.